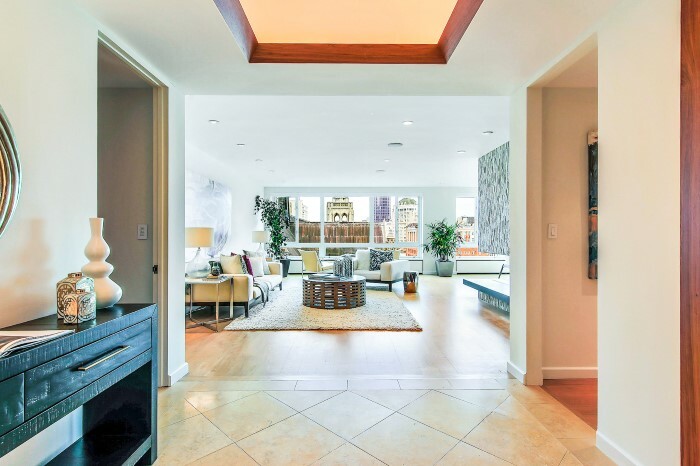 The listing that's received the most attention, is a Pacific Heights mansion formerly owned by actor Nicolas Cage. 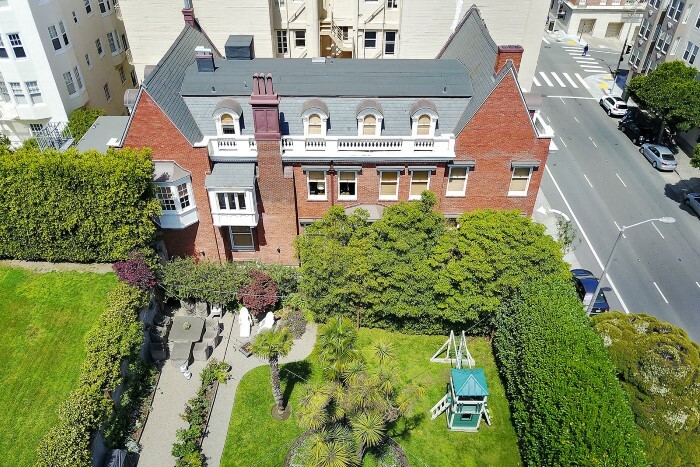 Originally built in 1898, with a just-completed three-year renovation (and much-needed paint job), it's now on the market for $12 million, adding another chapter to the history of one of San Francisco's most famous addresses: 1945 Franklin. 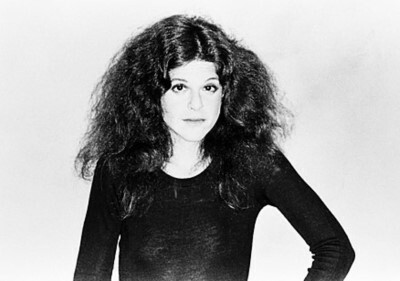 The home entered city lore after self-help guru Werner Erhard bought it in 1973 and used it as both his personal residence and headquarters of EST, the pop psychology movement that counted Diana Ross, John Denver, Valerie Harper, Raul Julia, Donna Karan, and thousands more among its followers. 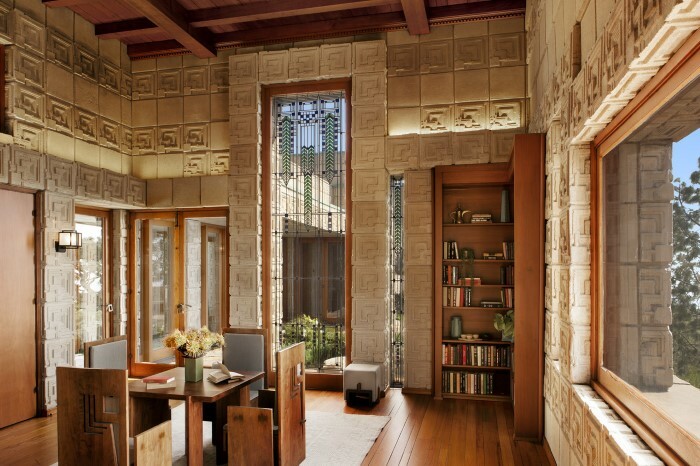 Read more about its storied history in this fascinating Town & Country article. Please don’t hesitate to contact me for further details, or for a showing of this grand 19th century Victorian -- with a definite 21st century vibe! 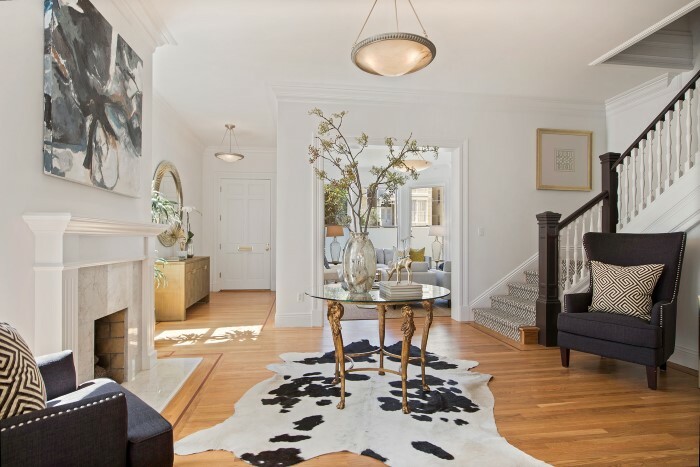 Our second property this month is also a renovated 19th century Victorian located in Pacific Heights. 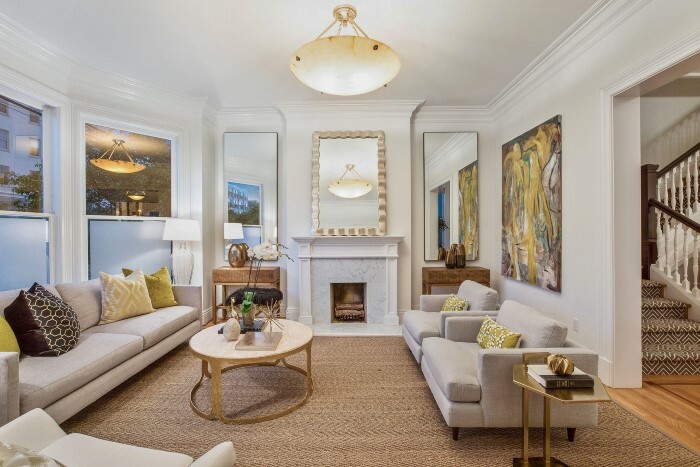 Beautifully brought into the modern era by luxury developer Historic Homes, the five (possibly six) bedroom home retains the ultra-high ceilings, multiple fireplaces, graceful craftsmanship, and classical details that have made Victorian homes so beloved for over a century. The home's floorplan has been designed to provide a spacious indoor/outdoor feel with a deck, south patio and yard. 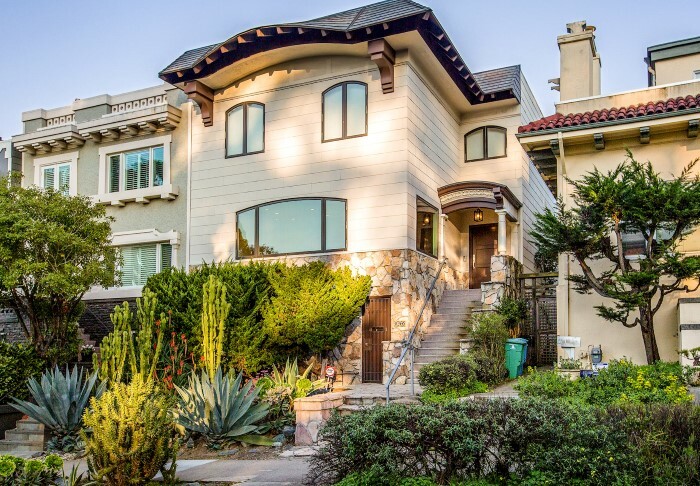 If you visit www.2611californiastreet.com you can explore the entire property with a 3D Virtual Tour. 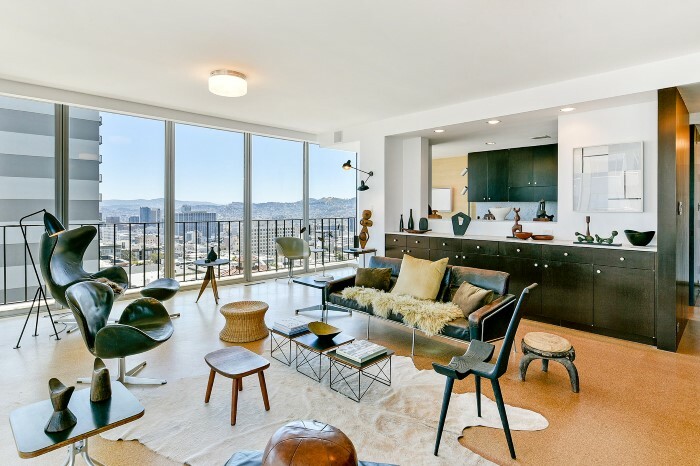 Next we go to my own neighborhood -- Nob Hill -- where I'm representing listings at Cathedral Tower, Nob Hill Tower, The Comstock, and 1200 California Street ranging from $1.295 to $6 million. 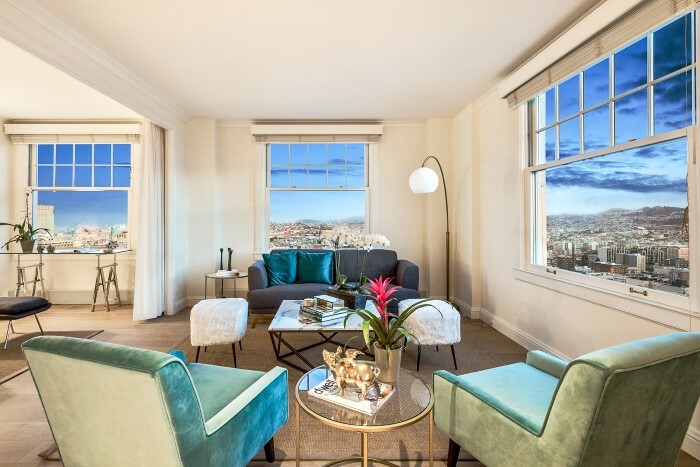 These glamorous residences provide sweeping views of our most famous landmarks, from classics such as the Golden Gate Bridge, Grace Cathedral and Coit Tower, to the City’s newest icon, Salesforce Tower. 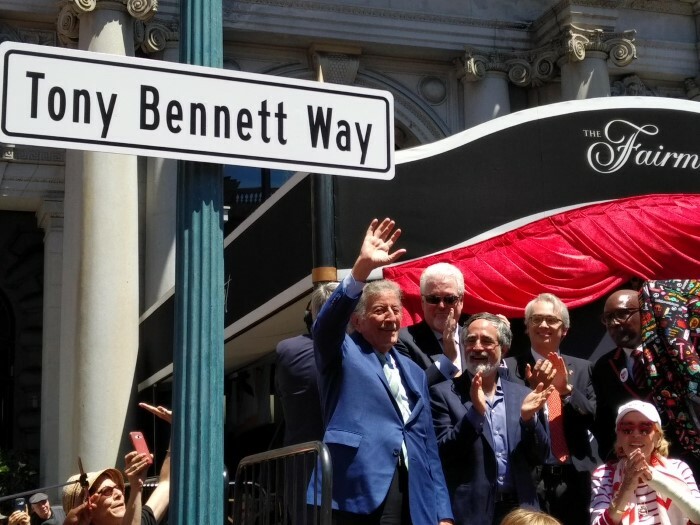 Speaking of Nob Hill -- the neighborhood now has a new street, Tony Bennett Way! 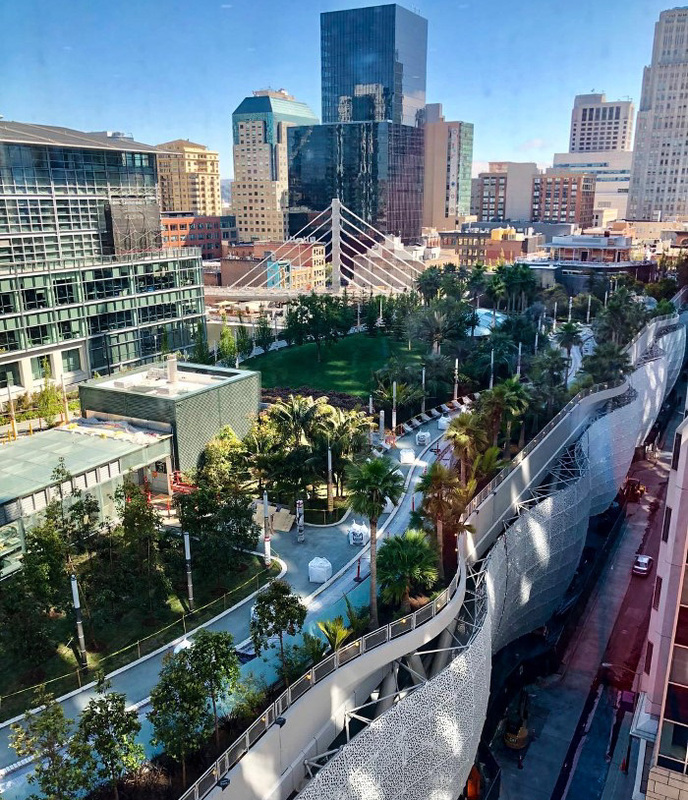 A dedication ceremony was recently held in front of the Fairmont Hotel, with a giant red carpet rolled out for the occasion (covering the entire 900 block of Mason Street). 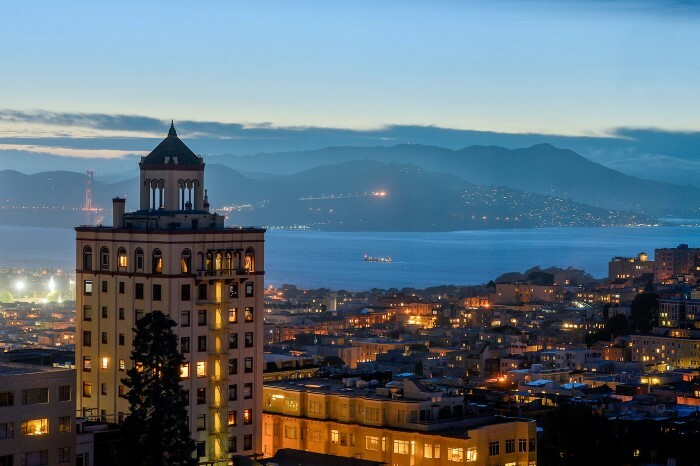 It was at the Fairmont in 1961 that Bennett first performed his world-famous song celebrating the City, “I Left My Heart in San Francisco" -- widely considered his signature piece. Truly a fitting tribute! 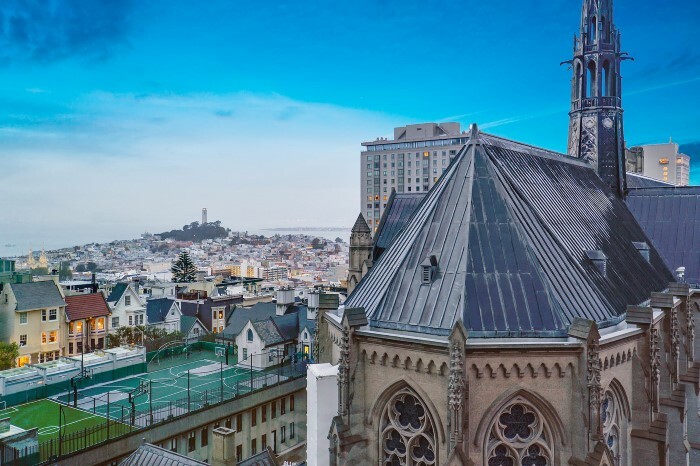 While a whole new San Francisco is rising south of Market, historic areas of the City have remained relatively untouched -- until now. 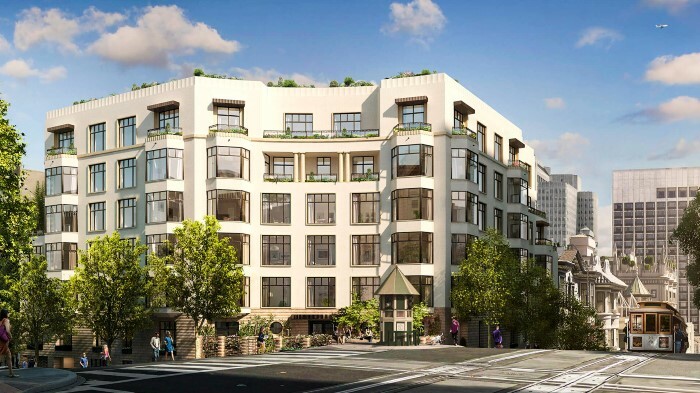 This year, work begins on two important new additions to Nob Hill which will add a fresh touch of streamlined 21st century design to the neighborhood known for its exquisite Beaux-Arts architecture (reminiscent of Paris), Huntington Park and the iconic Grace Cathedral. 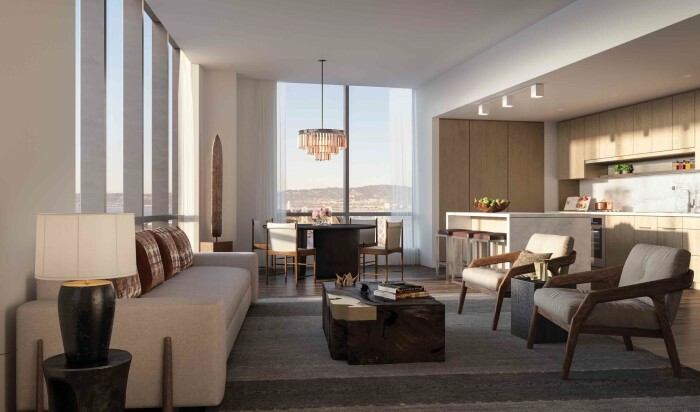 First is 875 California Street, the highly anticipated luxury condo building I first told you about in my April 2016 newsletter. 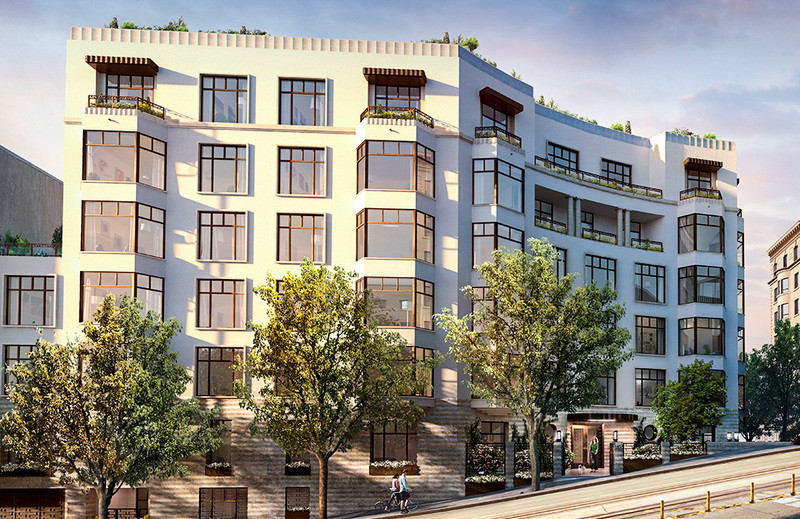 Located at the historic intersection of the Stanford Court, Fairmont Hotel and the University Club, the 7-story development has finally broken ground! 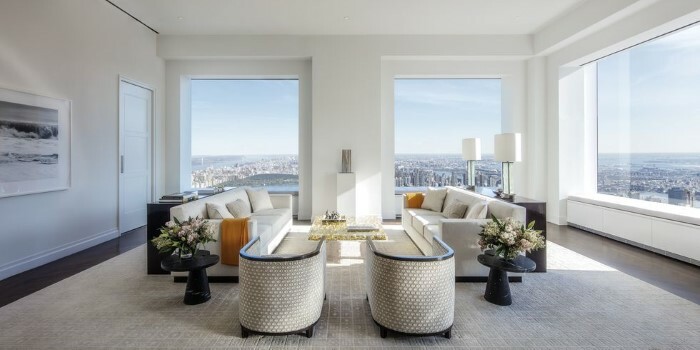 Starchitect Robert A.M. Stern, internationally renowned for some of Manhattan’s most super-luxe developments (such as 15 Central Park West, 30 Park Place, and 220 Central Park South), has designed the classically-inspired, 44-unit building in collaboration with Champalimaud, an award-winning design firm that's worked on iconic properties such as the Waldorf Astoria New York and the Fairmont Hotel, among others. 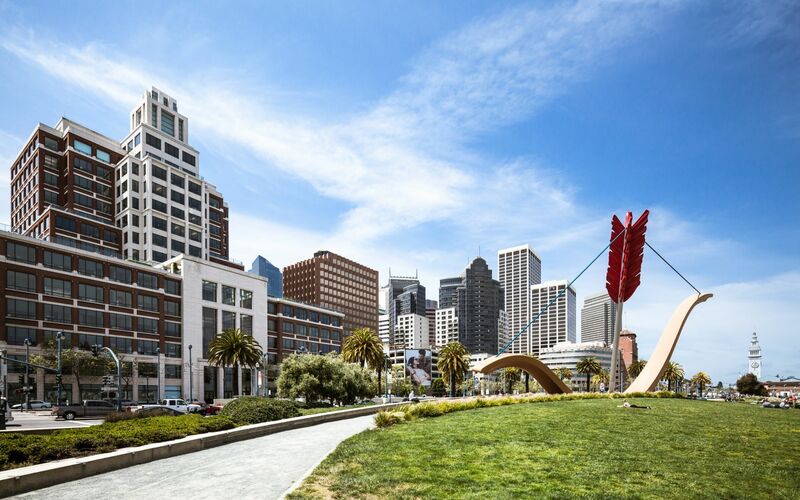 It's Nob Hill’s most important new project since The Montaire in the 1990s, and will be a beautiful presence at one of our most prominent tourist destinations. Next, Leadwell Global Property, the Hong Kong-based investor that bought the InterContinental Mark Hopkins Hotel for $206 million last year, is proposing a major change to the drab office space annex behind the hotel (running along Pine Street). 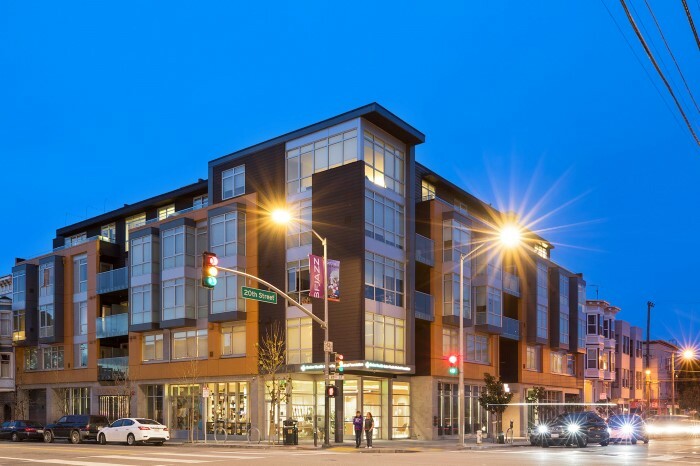 Known as Number One Nob Hill Circle, the annex will be demolished and replaced with a four story building designed by Skidmore, Owings, and Merrill. 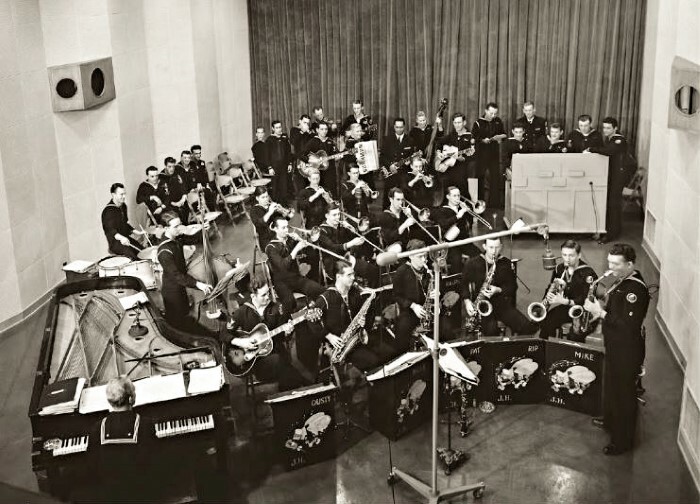 Seabees band entertained troops worldwide by radio during WWII. 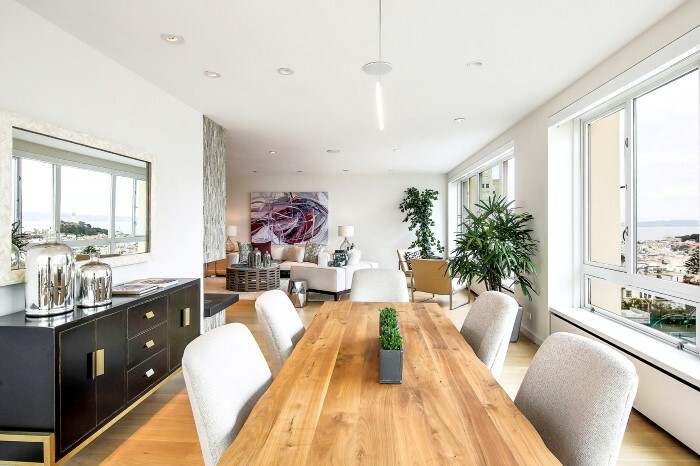 The new space will house guest suites, a rooftop terrace, and indoor wellness facilities -- quite a difference from when it was built in 1943 for the Office of War Information. 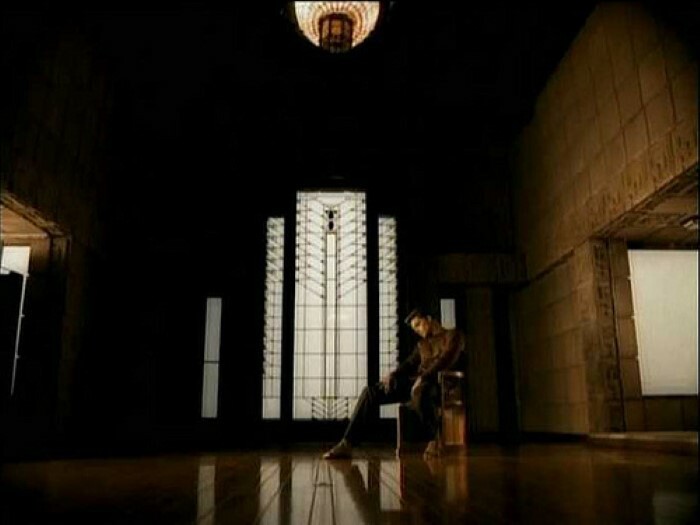 Then, it served as the U.S. government's radio studio, sending news and propaganda to the Pacific during World War II. Why there? 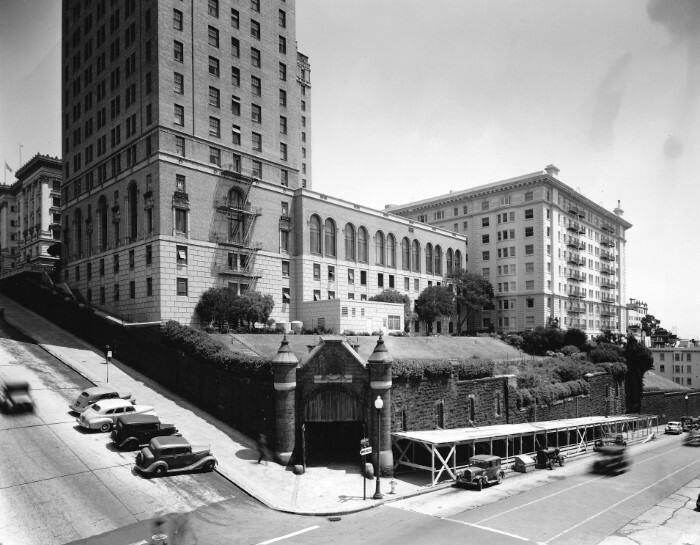 Buried beneath the hotel, deep into the side of the hill, it was considered safe from enemy bombs! 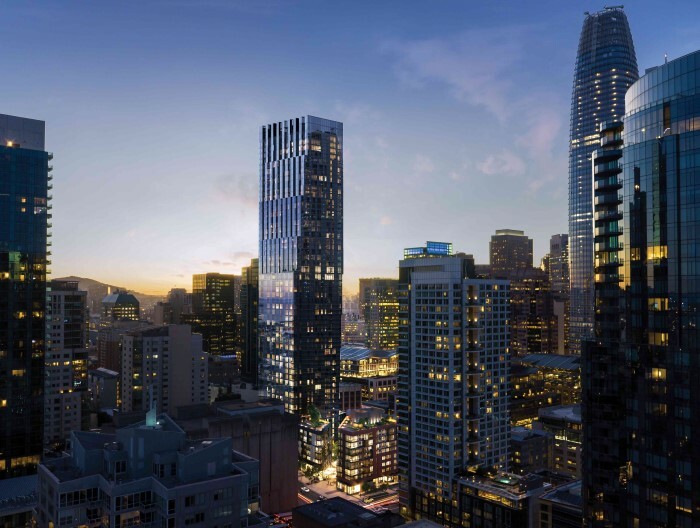 With Jim Campbell's brilliant LED art display at the crown of the new 1,070 foot Salesforce Tower (seven feet taller than the Eiffel Tower) now mesmerizing viewers up to 20 miles away, the next milestone of the Transbay Transit Center's development in SF is coming soon -- the opening of Salesforce Park, complete with restaurant, amphitheater, and aerial tram! Speculation has the ribbon cutting taking place in late July or August. 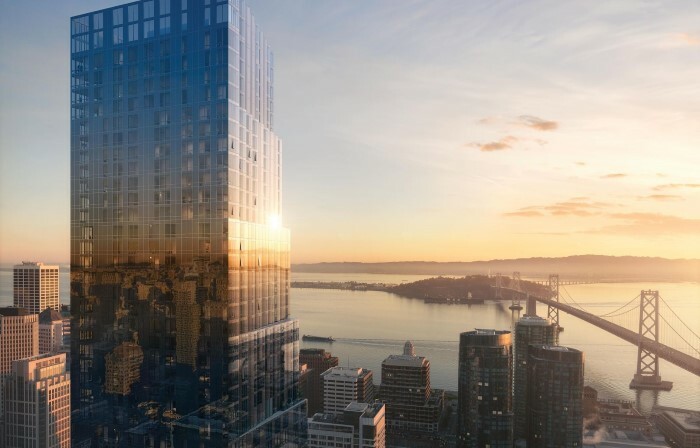 Nearby, construction is well underway for The Avery at 420-488 Folsom Street, the 618-foot tower designed by international starchitect Rem Koolhaas OMA (with partners Shohei Shigematsu and Jason Long), in collaboration with San Francisco's Anne Fougeron. Koolhaas -- the Pritzker Prize-awarded architect known for inventive, gravity-defying projects such as the CCTV Headquarters in Beijing, the Fondazione Prada in Milan, and the Seattle Central Library among others -- describes the building as a "sculpted tower" designed to embrace the light and maximize views of the Bay Bridge and skyline. 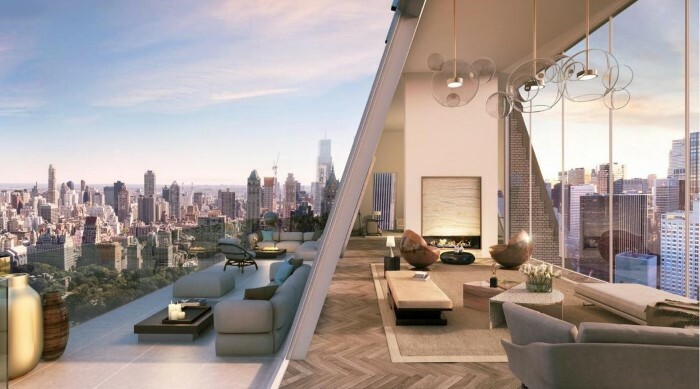 Sales have just begun for the 118 ultra-luxe condominiums, designed by New York-based Clodagh Design, that make up the top 14 floors of the 56-story tower. 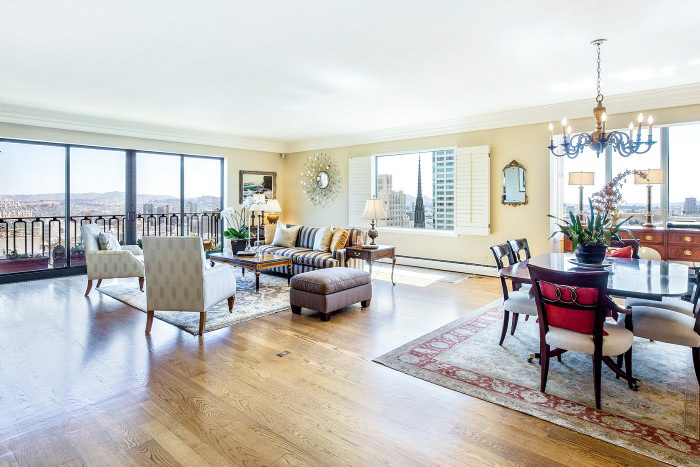 Current prices include $1,895,000 for a 964 square foot one-bedroom, $2,875,000 for a two-bedroom, and $4,150,00 for a three-bedroom. 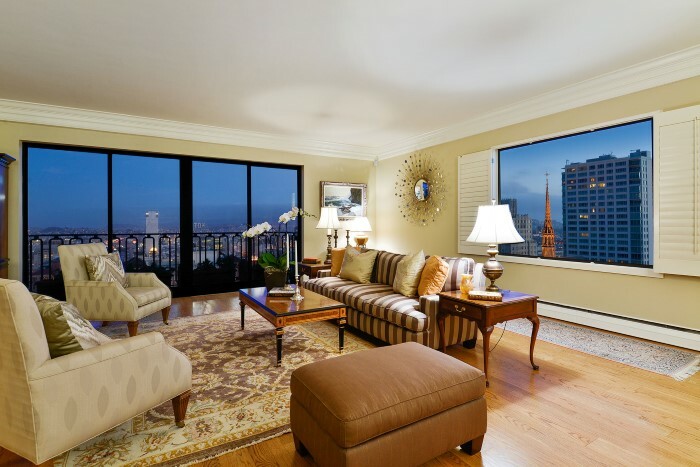 Of course, everyone wants to know about the penthouses. 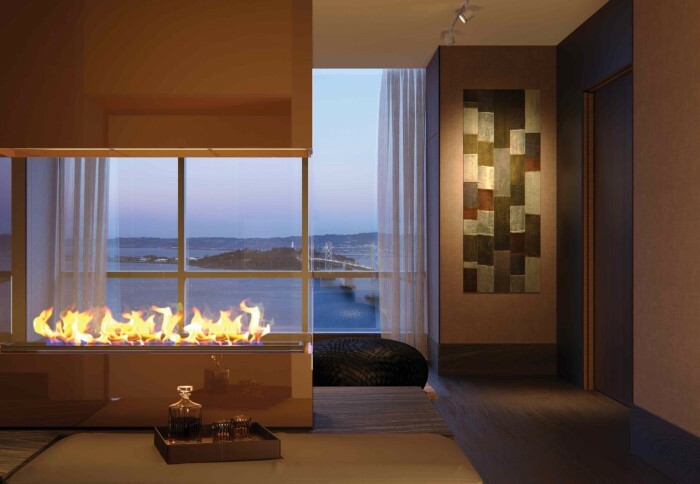 Located from floors 53 to 56, each half-floor residence takes full advantage of the incredible views with an expansive corner great room (with stone fireplace), an elegant formal dining room, and a corner master bedroom suite with dual walk-in closets and stunning windowed master baths. 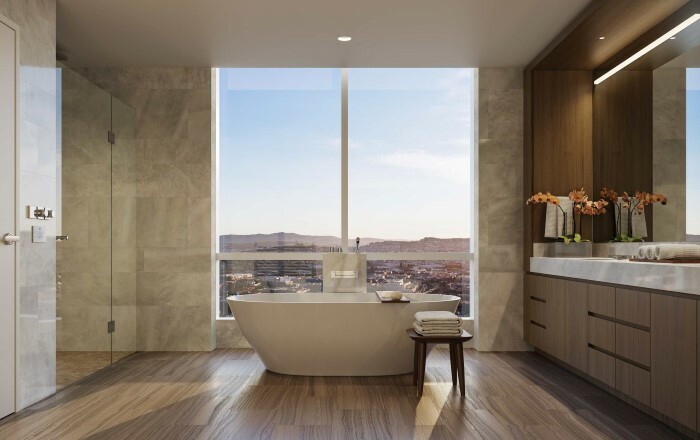 And best of all -- the top two penthouses feature a private rooftop that can be turned into the terrace of your dreams, set against a backdrop of endless panoramic views! Changes are also sweeping through the City's shopping mecca, Union Square, in anticipation of the Central Subway's station opening there less than a year from now. 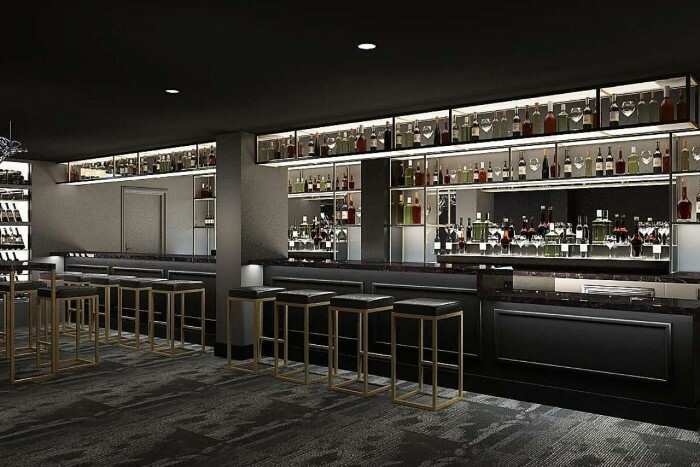 One of the most exciting additions is the upcoming opening of a six-story building at 165 O'Farrell dedicated entirely to French cuisine, overseen by the widely regarded chef Claude Le Tohic. Called ONE65, it will house four different restaurants: ONE65 Patisserie (a casual dining spot for breakfast and lunch on the second floor), ONE65 Bistro (a 65-to-70-seat restaurant on the third floor), ONE65 Lounge & Bar on the fourth floor, and a fine dining restaurant on the fifth floor called O’ by Claude Le Tohic. 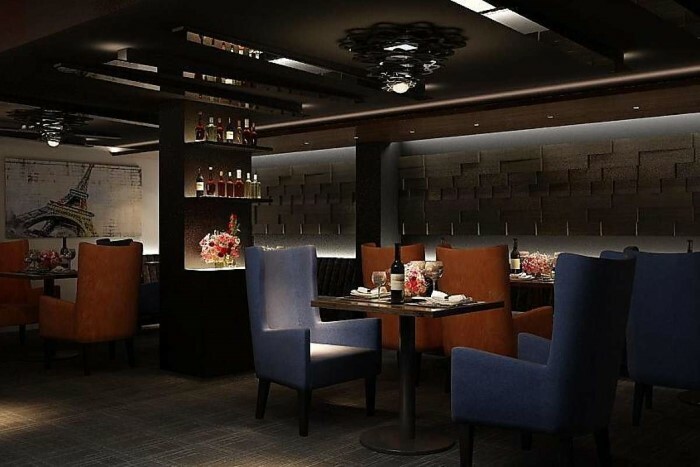 With the addition of a rooftop restaurant atop the former Macy's Men's store, and the long-awaited opening of Freds Restaurant on the top level of Barney's New York, Union Square may become just important a destination for dining as it is for shopping! 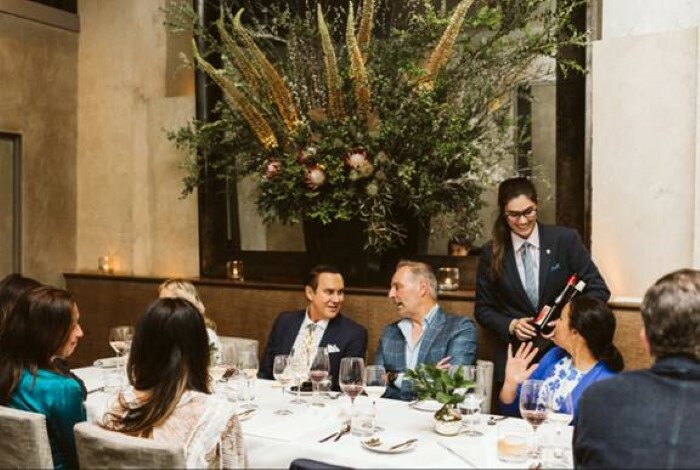 Speaking of important restaurants -- I was delighted to attend a recent dinner party hosted by Chef Michael Mina and fashion stylist Mary Gonsalves Kinney to preview the relaunch of the legendary Michael Mina restaurant at 252 California Street. The highlight was the incredible Middle Eastern-inspired tasting menu that pays homage to Mina's heritage. You must check it out! 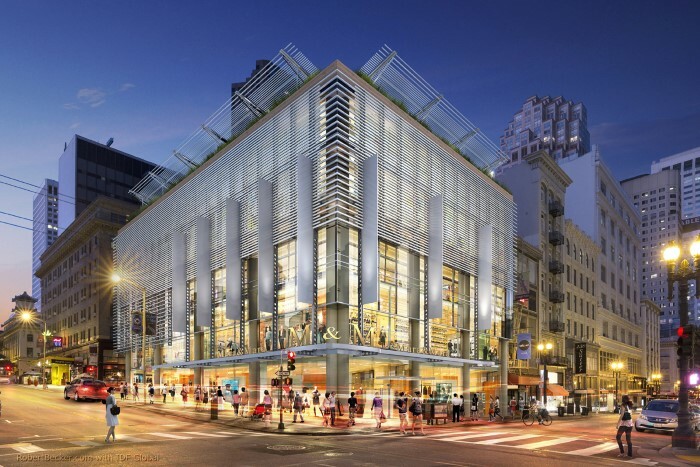 Since I wrote about it in Issue 57, more details are known about Macy's renovations and plans after the sale of its beautiful I. Magnin property -- the 240,000-square-foot building connected to its Union Square flagship. 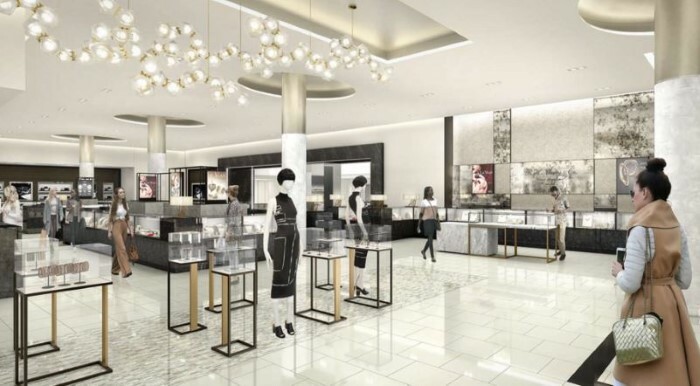 With the retailer's footprint dropping from about 665,000 square feet of selling space to a little more than 400,000, the store is being redesigned to welcome a more high-end shopper, with upgraded finishes, more windows, better lighting, and a special selection of small shops at mezzanine level for future luxury retailers. 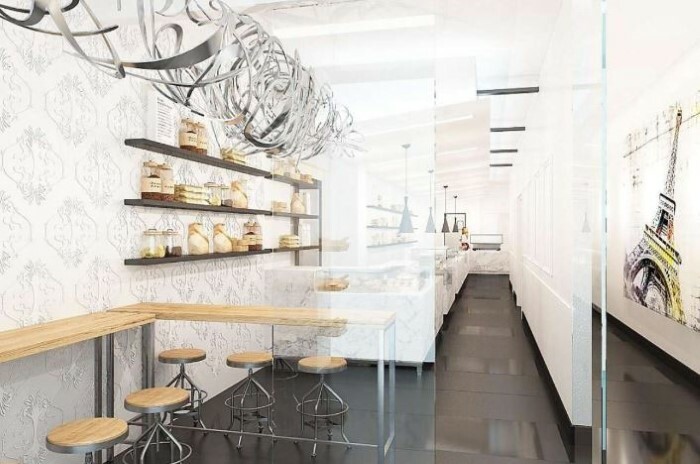 It will be interesting to see what new fashion brands will be coming to these spaces. They've also added a new Wine Bar, and are currently doing construction for a new men's department on the 6th floor. A few blocks away, at 300 Grant Avenue, construction has begun on the first new ground-up retail and office development in Union Square since the 1980s. 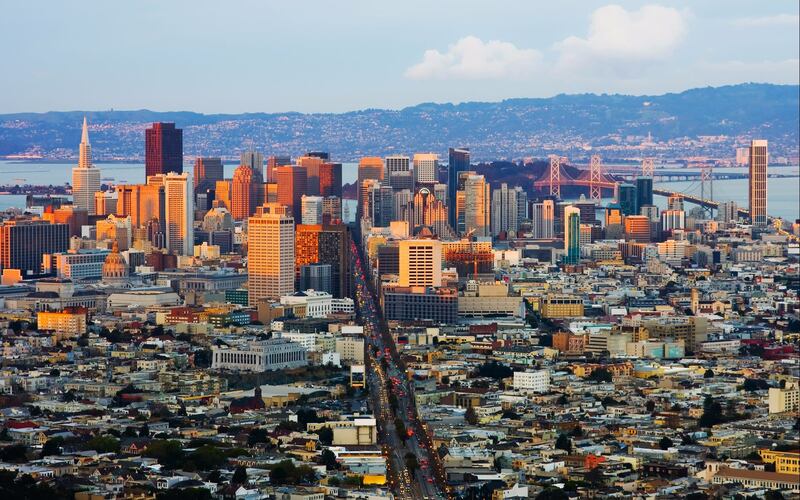 With Grant now the most popular destination for ultra-luxe retailers in SF, it will undoubtedly draw some exciting brands. 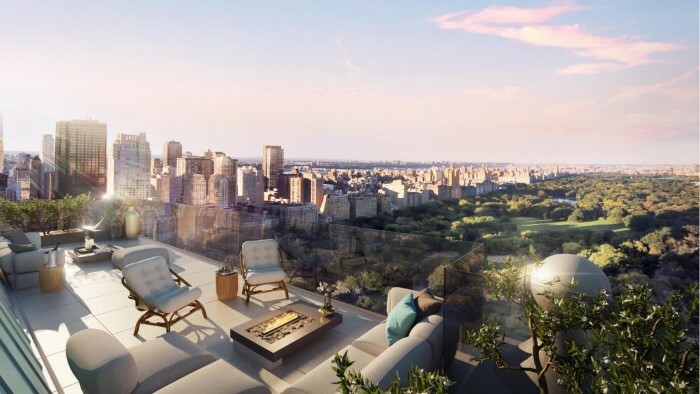 On the celebrity real-estate-go-round, pop diva Jennifer Lopez and baseball superstar Alex Rodriguez reportedly closed on a three-bedroom, four and a half bathroom apartment at New York’s newest A+ ultra-luxury development, 432 Park, for $15.3 million. 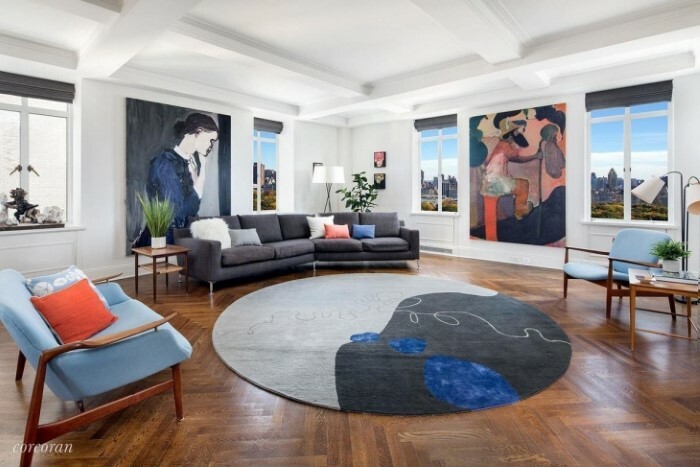 Meanwhile, a Pre-War co-op in the architecturally iconic San Remo’s South Tower, formerly owned by Diane Keaton, is now on the market for $17.5 million. In California, the San Clemente beachfront estate known during Richard Nixon’s presidency as “The Western White House” is now on the market for $63.5 million. 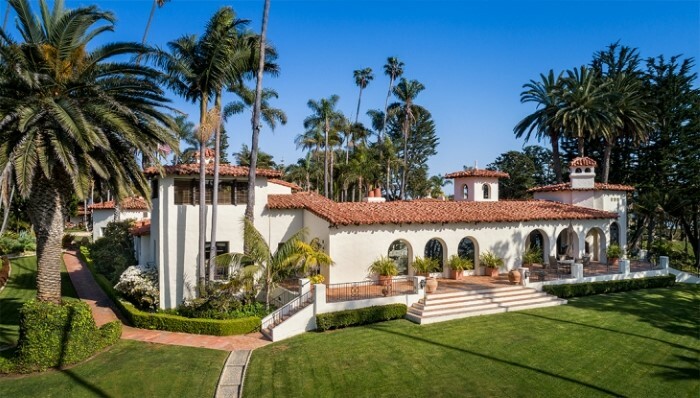 With 5.45 acres of manicured land and 450 linear feet of pristine beach, the 15,000-square-foot estate an hour south of Los Angeles has had quite the history -- if those walls could talk! 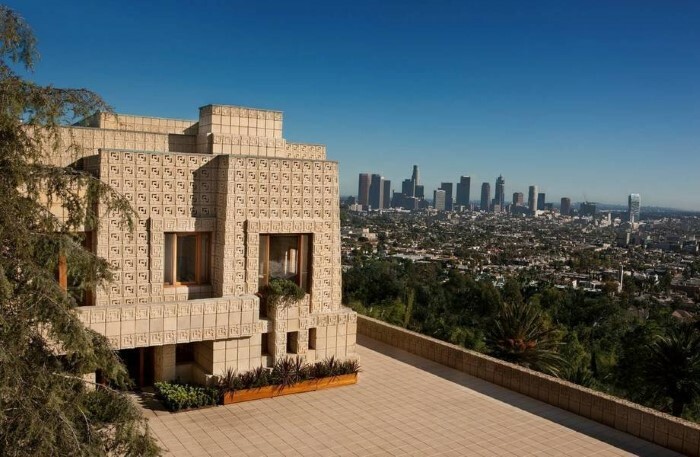 In Los Angeles, legendary starchitect Frank Lloyd Wright’s iconic Ennis House (named after the original owners, Charles and Mabel Ennis) has just been listed for $23 million. 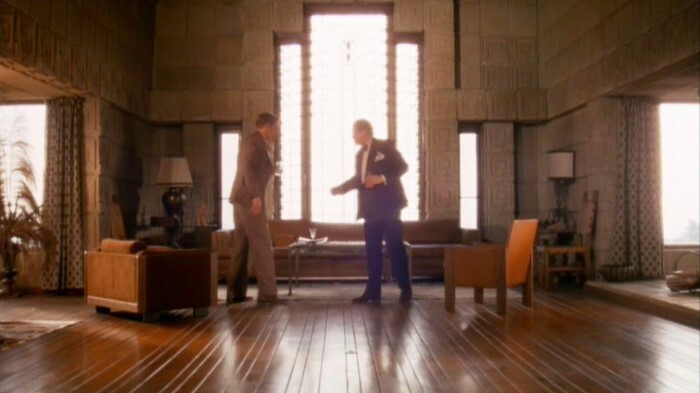 It also plays a big part in Hollywood history, having appeared in at least 25 movies and TV shows since 1933 -- most famously as Rick Deckard's apartment in Blade Runner (1982). 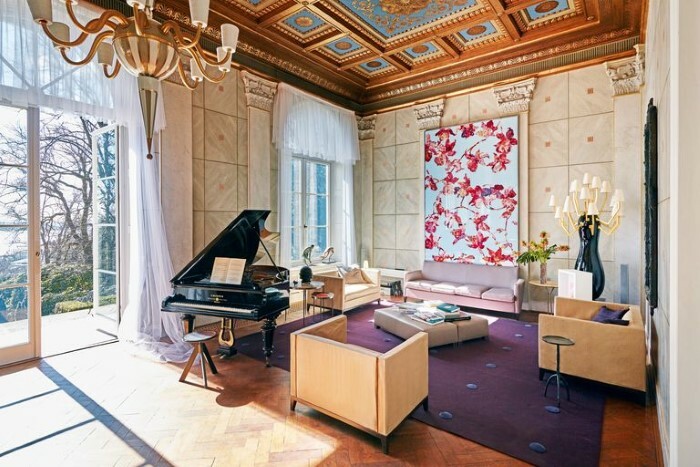 While Wright looked to pre-Columbian Mayan temples for inspiration, fashion designer Karl Lagerfeld's former home in Germany, which has just been put on the market for approximately $11 million, was inspired by architecture of another ancient era -- Rome. 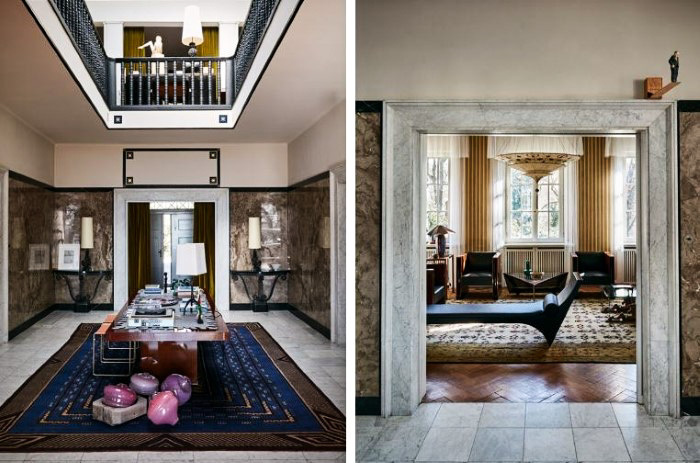 Named "Villa Jako," in honor of the designer's longtime partner, Jacques de Bascher (who died in 1989 before he could move into the home), it resembles a Roman villa -- complete with a grand facade and multiple columns. 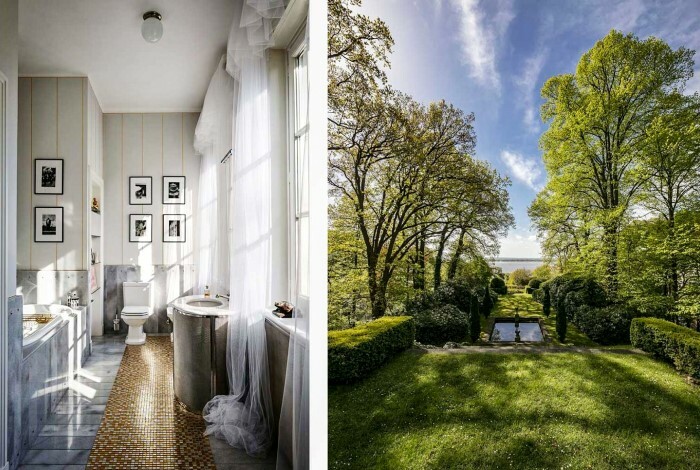 Located at Wilmans Park in the Blankenese suburb of Hamburg, the hillside property has beautiful, unobstructed views of the River Elbe -- which is why Lagerfeld, always the contrarian, sold it in 1998. '“It’s impossible to live on the Elbe. You spend all your time looking out at the river. You ended up becoming lazy." 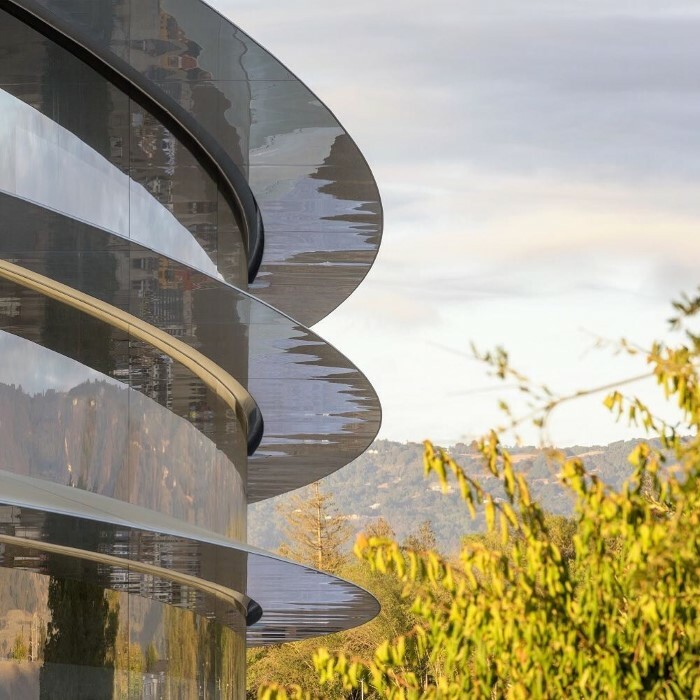 The global super-luxury market has been going full steam ahead through the first half of 2018 -- leading to some unexpected opportunities! 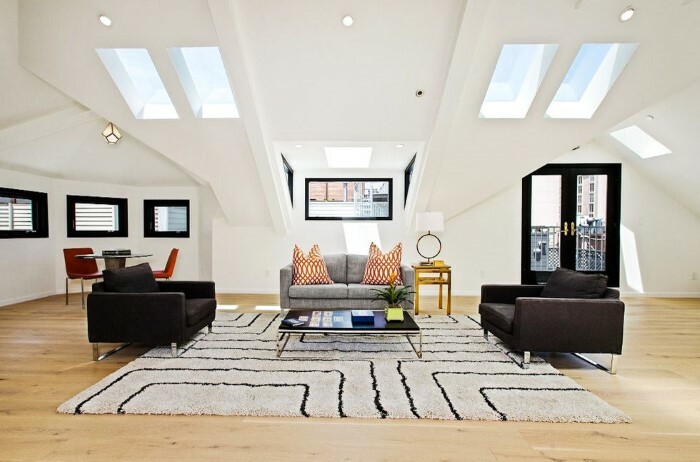 In one of the more unusual cases of real estate development, an unused attic space atop New York’s legendary Hampshire House -- an architectural icon of the post-Depression era, recognizable for its steep copper roof, twin chimneys, and glistening white brick on Central Park South -- is being transformed into a major 10,000 square foot triplex penthouse with terrace. 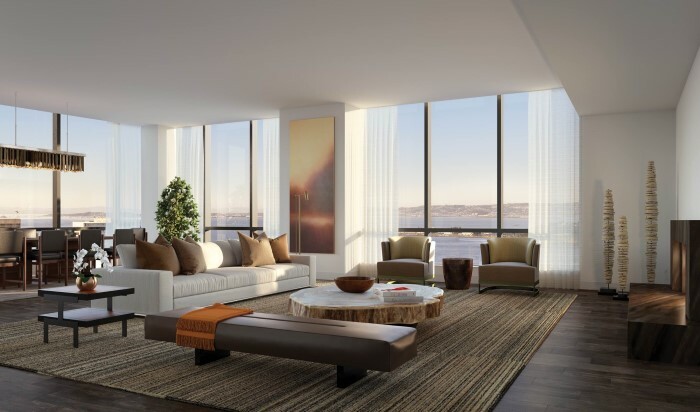 The stunning design for the home is conceived by SPAN Architecture, and includes three full floors, 10- to 14-foot ceilings, and five private terraces with panoramic views of the New York City skyline, Hudson and East Rivers, and Central Park. Price? The Sky’s the limit! 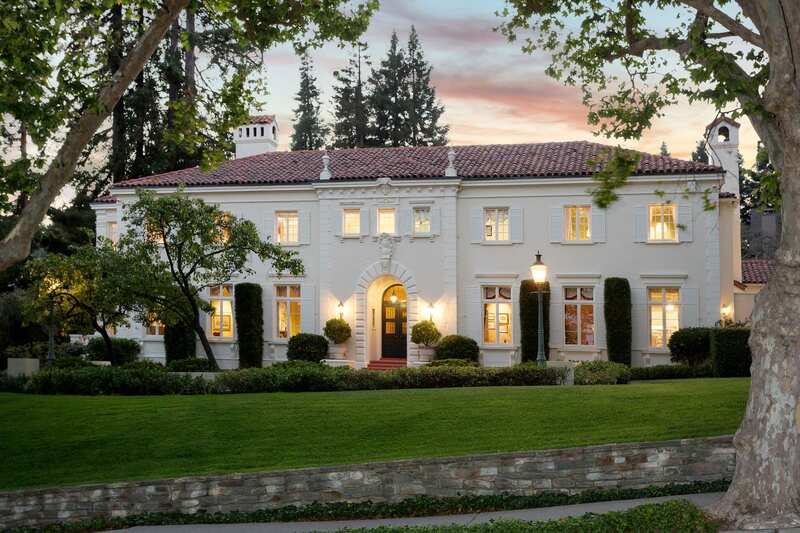 And on the West Coast, the newly remodeled Wallingford Estate in Beverly Hills, originally modeled after Le Petit Trianon at Versailles, is now in an ultra-luxe modernistic re-incarnation that would make Marie Antoinette green with envy. 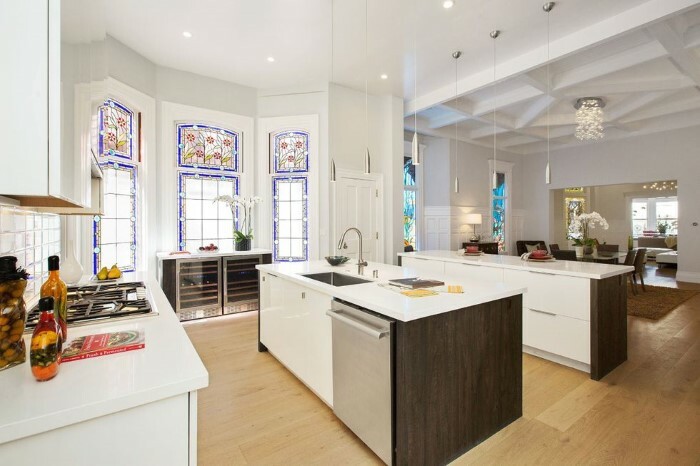 After its renovation by real estate mogul Gala Asher it's certainly one of the more extraordinary "before and afters" in real estate! 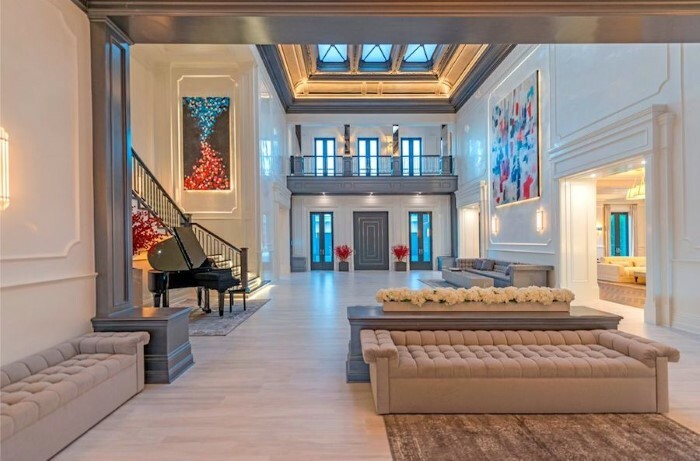 Sitting on a roughly five-acre promontory, the fully furnished estate -- listed by Coldwell Banker's Ginger Glass for $135 million -- features 46,000 square feet of living space (the master suite alone is 5,300 square feet), including a covered and heated patio, a cinema, wine room, and whisky lounge. 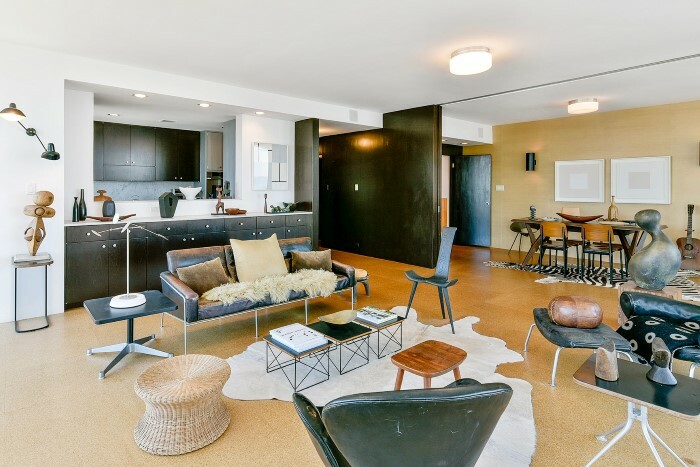 Additional amenities include a spa with a hair and nail salon, a sauna, massage room, a stylist area, a boxing ring, gym, two tennis courts, a sports lounge, indoor sports facility for basketball, pickleball and paddle tennis, and parking for 90 cars. 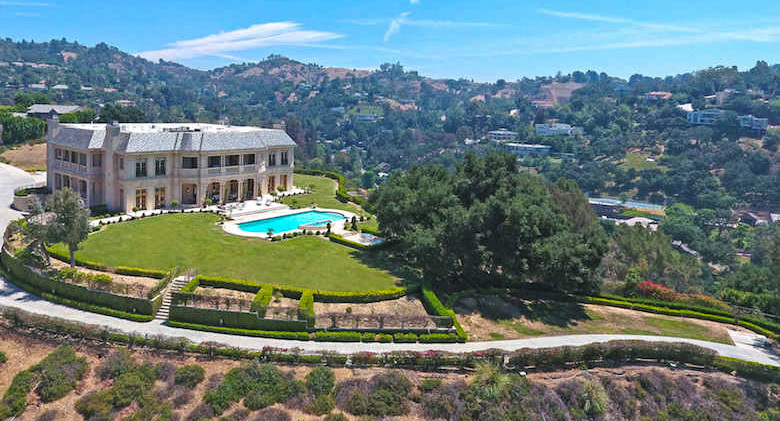 As if that's not enough, it also boasts the largest pool ever built in Beverly Hills! 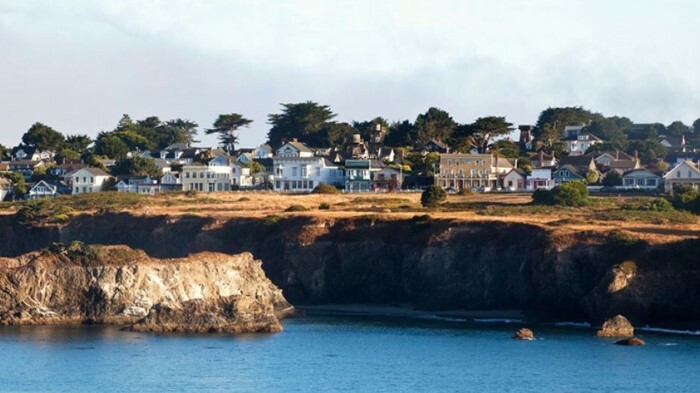 Summertime presents innumerable opportunities to explore the Bay Area's lush natural landscape over weekends in the Marin Headlands, the Napa wine valley, or any of our many beaches and parks. 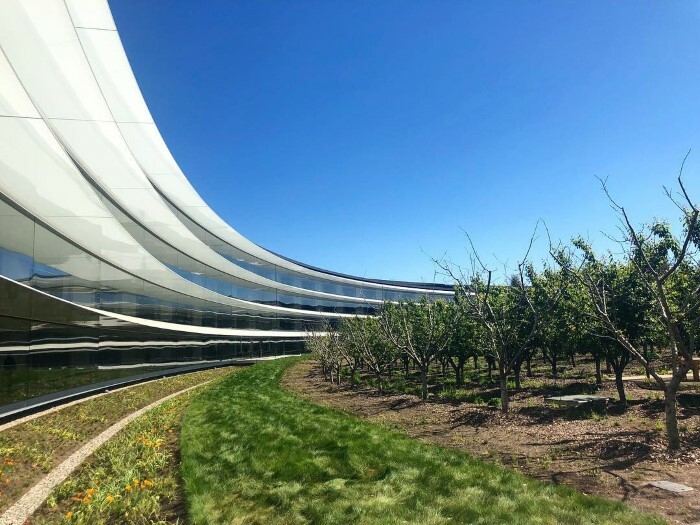 But if you're an Apple employee, you needn't travel far -- the company's new "Spaceship" headquarters is literally at a park! 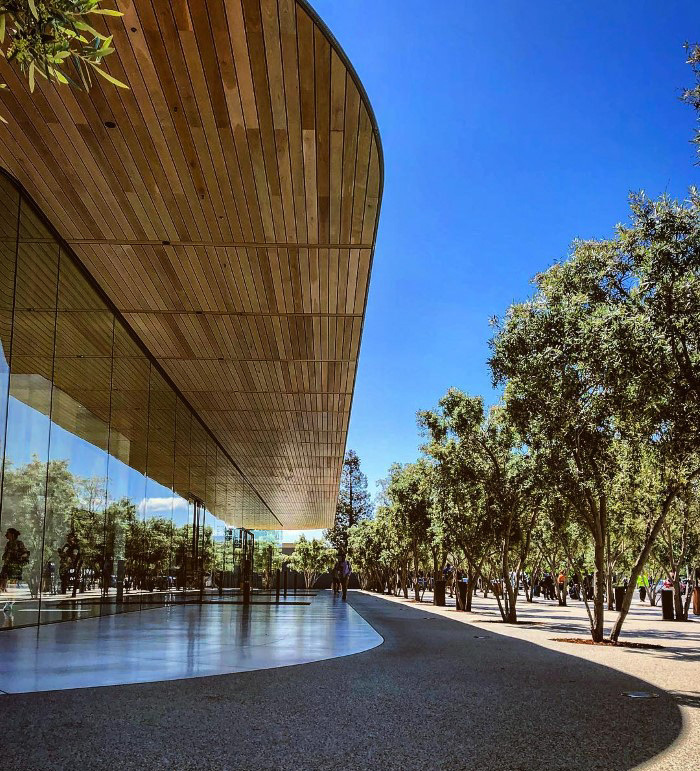 As this drone video shows, the landscaping in and around the Apple Park campus designed by Foster + Partners -- set on 175 acres in Cupertino with a large artificial pond and a forest of 7,000 drought-resistant trees -- gives the company's headquarters a beautiful park-like atmosphere. 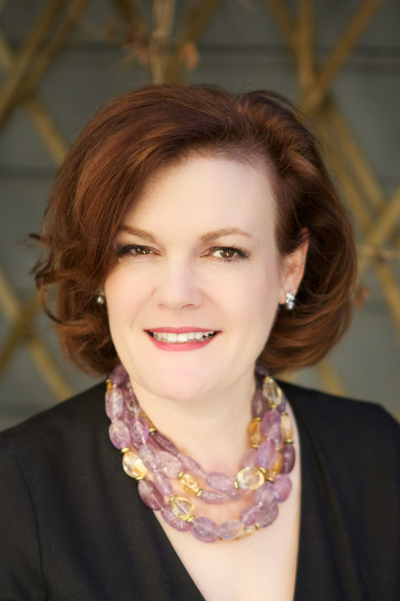 The months of July and August are full of interesting cultural, philanthropic, entertainment, sporting, fashion and tech events -- highlights of which you can see in my event calendar below. This month I'm especially delighted to be supporting the ODC/Dance, which helps innovative artists through commissioning, presenting, mentorship, and providing space access. I look forward to seeing you soon, and wish you a wonderful summer season! 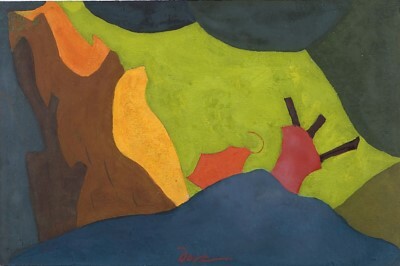 A significant body of work created by American artists between 1915 and 1960. 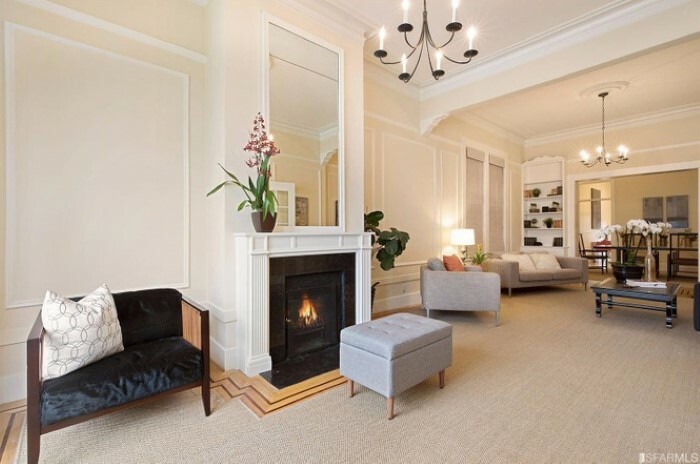 Berggruen, 10 Hawthorne Street, San Francisco. 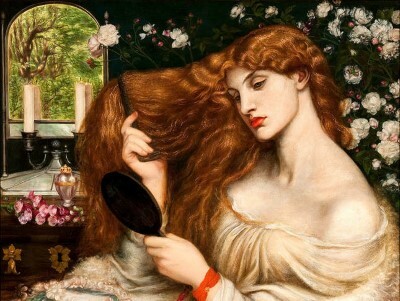 The first major international exhibition to assemble works of the Pre-Raphaelite Brotherhood with the early Italian, Netherlandish, and German art that inspired them. 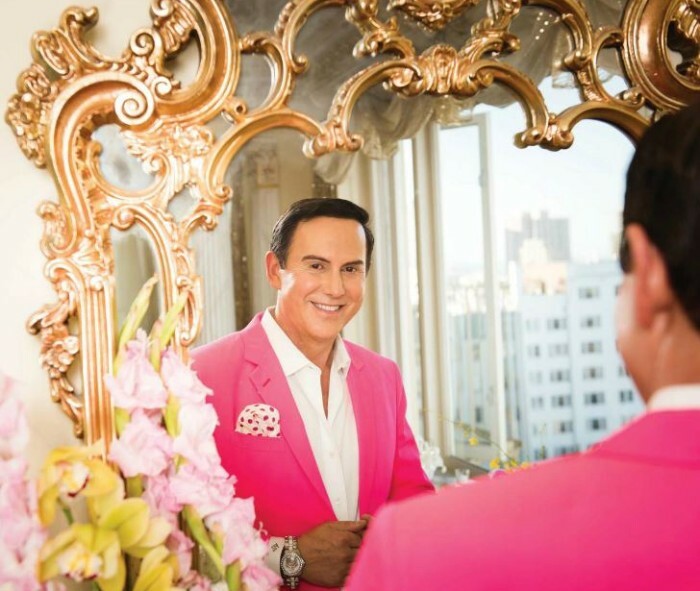 Legion of Honor. 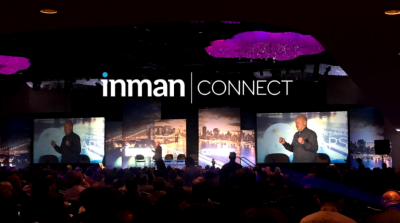 A week-long conference of 4,000 real estate professionals. 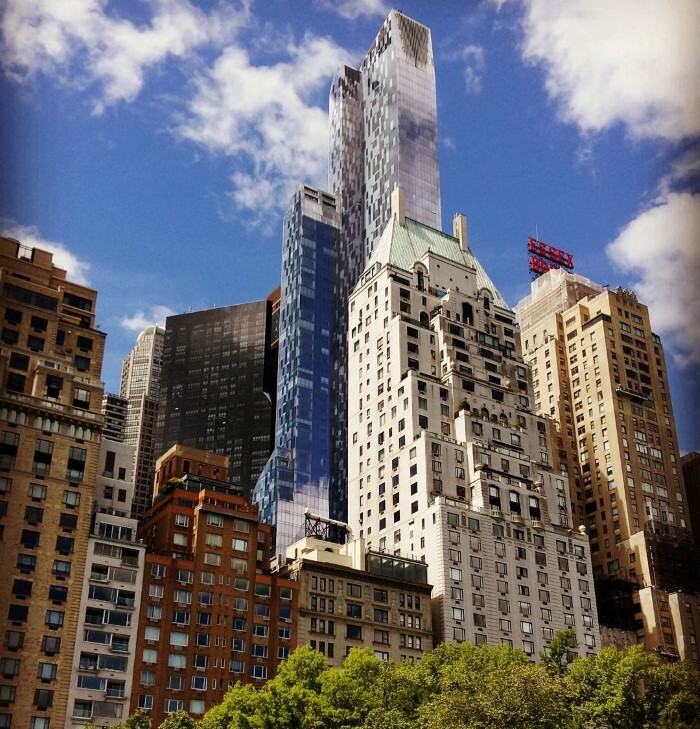 Hilton, Union Square. 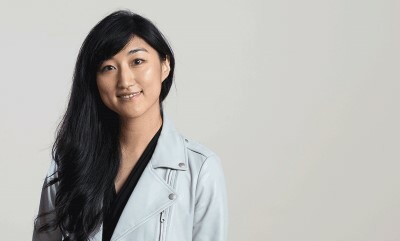 Sequoia Capital partner Jess Lee talks about women in venture capital. Commonwealth Club, 110 The Embarcadero, 6:30 PM. Over 150 films, parties, events and guests that celebrate excellence in independent cinema and showcase the diversity of global Jewish life. 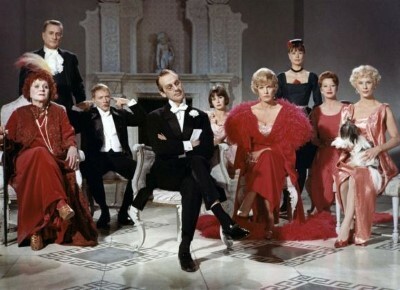 Rarely screened works made between 1949 and 1964 that reveal the range of Ingmar Bergman’s style. BAMPFA, 2155 Center Street, Berkeley. 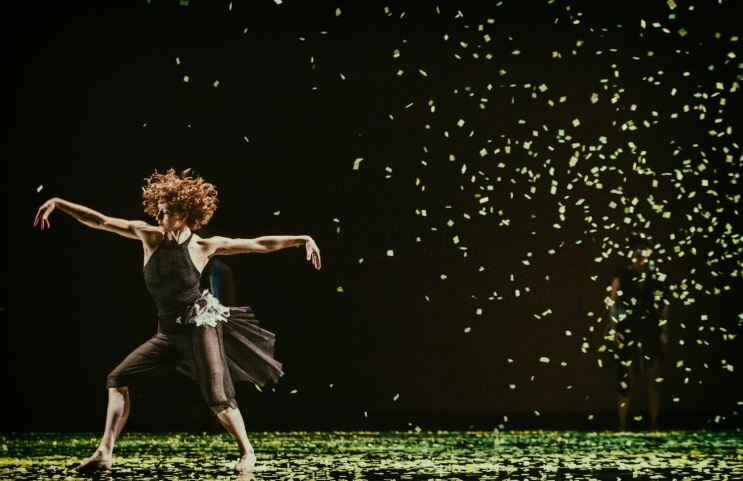 ODC/Dance Presents its Summer Sampler -- extraordinary programs that lift the spirit and provoke the mind! ODC Theater, 3153 17th Street, SF. 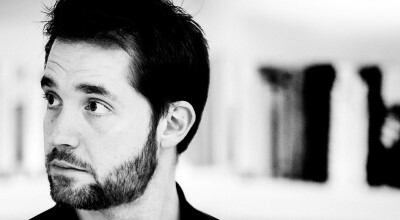 Reddit co-founder and entrepreneur Alexis Ohanian (aka Serena Williams' hubby) discussed his perspectives on tech, culture and parenting. Commonwealth Club, 110 The Embarcadero, SF, 6:30 PM. 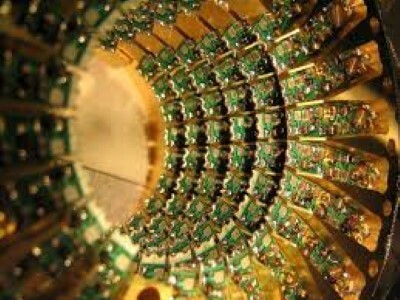 Microsoft's Matthias Troyer, Google Quantum AI's John Martinis, and IBM's Pat Gumann discuss quantum computing. Computer History Museum, Mountain View, 6:00 PM. Jennifer Raiser discusses the art and creativity of Burning Man with artist artist Michael Garlington. Book Passage, 1 Ferry Building, SF, 6:00 PM. 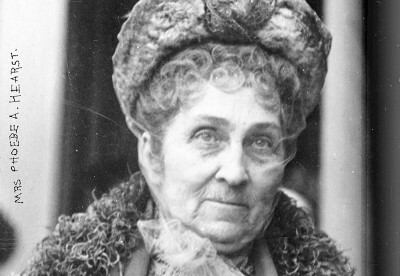 Alexandra Nickliss discusses Phoebe Apperson Hearst, one of the Gilded Age’s most prominent and powerful women in the Bay Area. Commonwealth Club, 110 The Embarcadero, 6:00 PM. 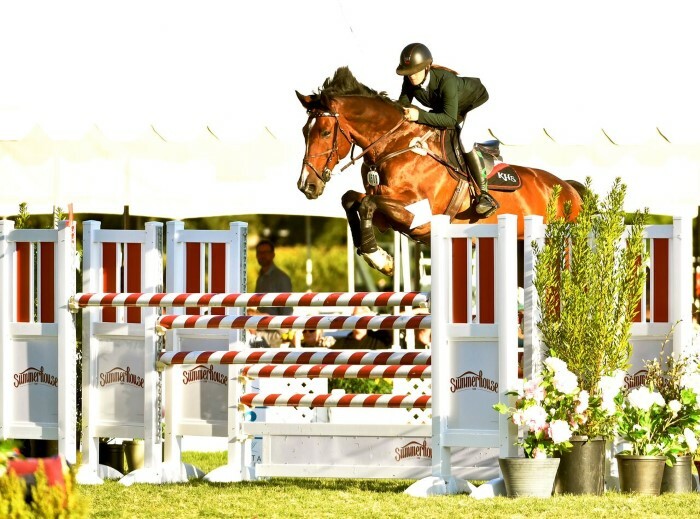 Enjoy the best show experience in the county, with entertainment featuring casual dinners, wine and beer tastings. Menlo Circus Club, Atherton. 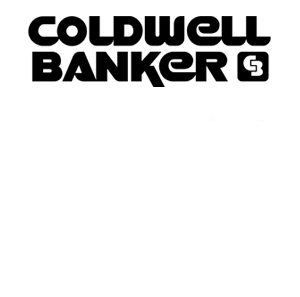 With over $1 billion in sales, we pride ourselves on offering the highest level of top notch service. 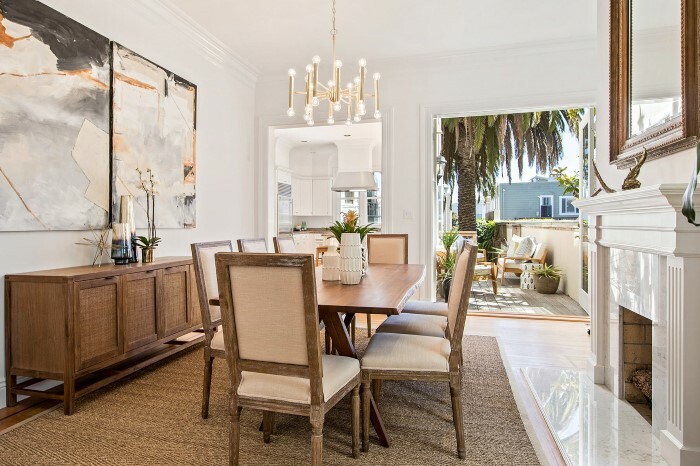 Joel Goodrich is an internationally recognized luxury real estate agent in San Francisco, who works closely with the sale and purchase of the area’s most exclusive listings. 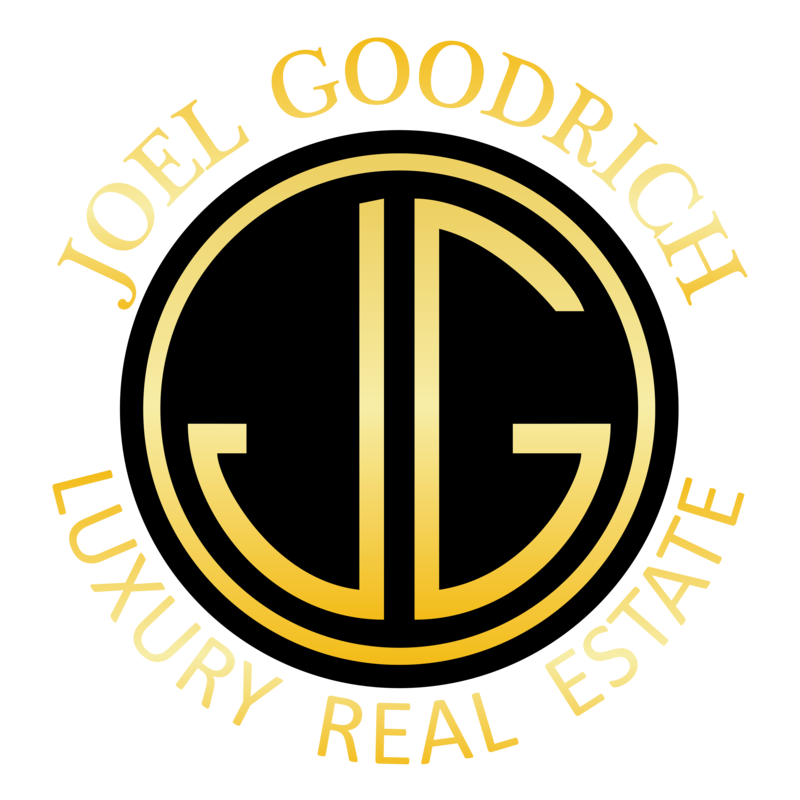 From prominent estates to investment properties, Joel’s expertise and professionalism solidifies him as one of the top luxury realtors in the country.